There's still time to shop! Making up my recent orders ready for posting out for Christmas! There's been a flurry of activity in the beadshop following my recent shop update. Lots of people supporting a small business selling unique hand-made jewellery, and enjoying stress-free Christmas shopping! Amber is not only the most beautiful and unique bead, it has also been used in the Baltic regions for centuries as an anti-inflammatory and analgesic. When you wear amber, your skin temperature warms the bead and this causes the release of succinic acid which is traditionally thought to be the reason that wearing amber reduces inflammation and pain. I've got some stock still left for last minute shopping, but I'm taking the weekend off to enjoy a wedding, and a birthday party, and some chill time with my family. 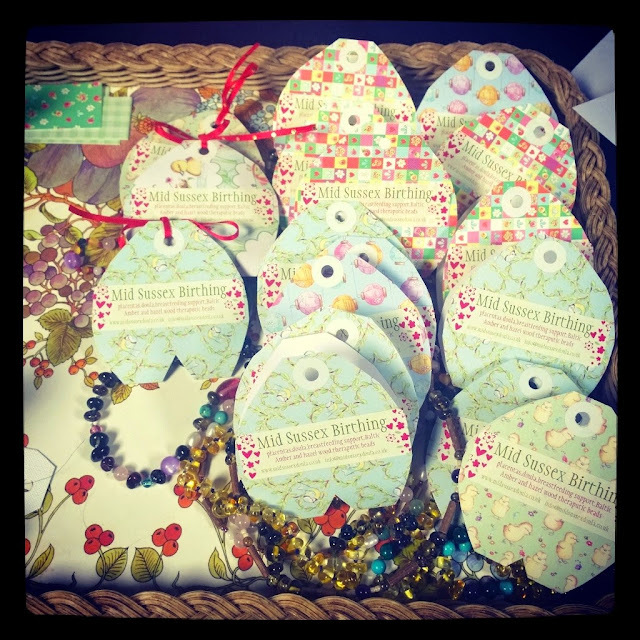 You can shop at Mid Sussex Birthing Beads Shop and tick some presents off your list!